Welcome to another Challenge YOUrself challenge. 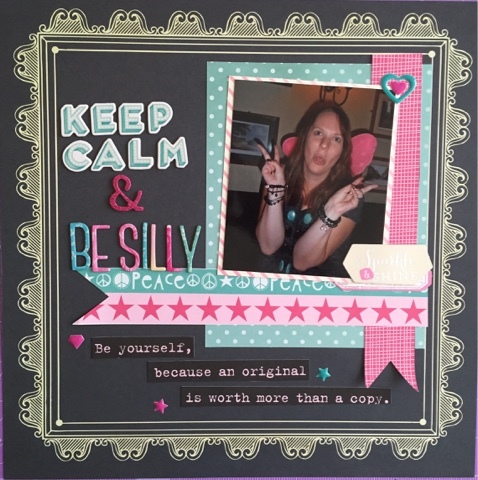 This month we are asking you to use the saying Keep Calm &... For my layout I decided to scrap a silly photo of me after a few "fizzy pops" at my Sister in Laws hen party 3 years ago. I decided to use a sheet of Fancy Pants paper for my background as I liked the idea of it framing my layout. As my photo is fairly dark with a pop of pink with my fairy wings I decided this would be my colour scheme. I found a sheet of Bella Boulevard paper with strips of different patterns including the peace strip with went great with my photo. The same paper has the saying on which I cut into parts and added to the bottom of my page. For my title I used Crate Paper Craft Market & Dear Lizzy Serendipity Thickers. 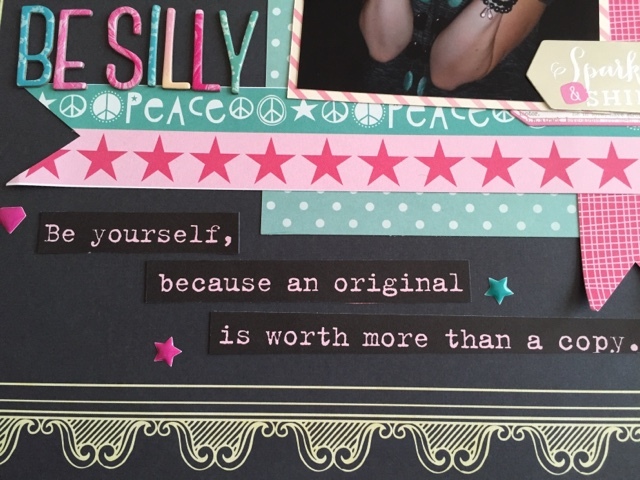 Pop over to the Challenge YOUrself blog to check out the DT's layouts and enter your layout for a chance to win a prize.